Take an Arkansas river rafting trip this summer! Our basecamp is located in Buena Vista, Colorado, within easy driving distance of Salida, Vail, Aspen, Cañon City, Colorado Springs and Summit County. Rafting on the Arkansas River is the most popular whitewater experience in the nation — and for good reasons! Rafting on the Arkansas River is most popular on a half-day trip in Browns Canyon — ideal for those with limited time or beginners who are rafting for the first time. We also offer Arkansas River rafting tours in full-day and multi-day options. Overnight trips include riverside camping and are perfect for those interested in an extended river vacation. The Arkansas River rafting season begins in mid-May and runs through late August. Peak water for maximum whitewater thrill and challenge is usually during June. The most family-friendly time of year for Arkansas River rafting is after the water starts to calm down, from July through August. Since most of the water is snowmelt, the water temperature is quite cold most of the summer. Browns Canyon’s pool-drop rapids take you through famous runs such as Widowmaker and Zoom Flume before entering calm stretches. 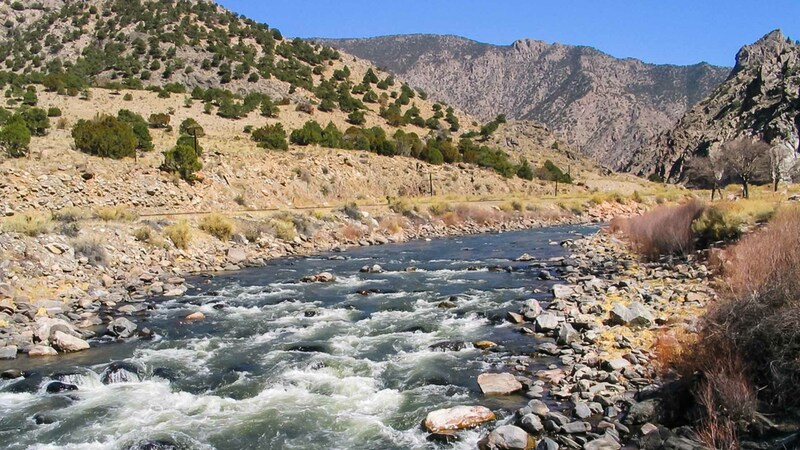 Fun and scenic, this Arkansas River rafting trip includes our famous BBQ lunch. A grilled steak and all the steaming hot sides will do wonders for your paddling power. At the other end of the spectrum is our Numbers trip, which offers an extreme and continuous stretch of Class 4-5 water and is for experienced and aggressive rafters only. This trip requires previous rafting experience, good physical conditioning and strong swimming skills. Call us at 970-402-6081 and let us help you plan a memorable Arkansas River rafting adventure today!